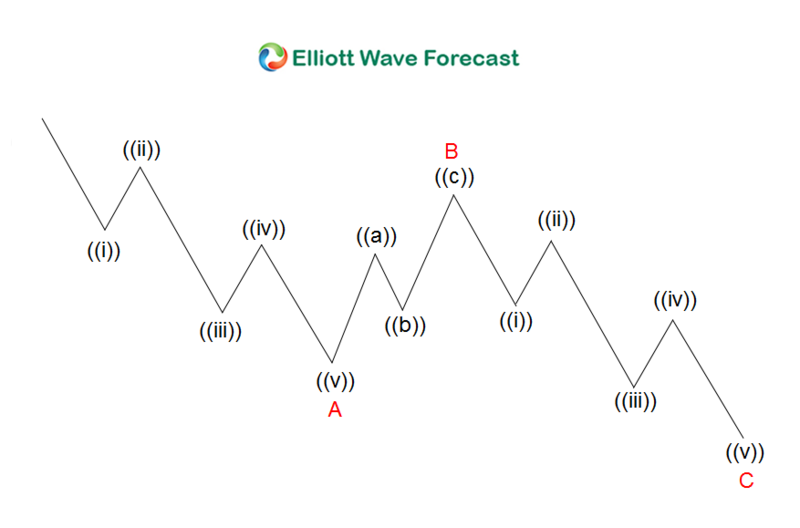 Elliott Wave Theory is named after Ralph Nelson Elliott (28 July 1871 – 15 January 1948). He was an American accountant and author. 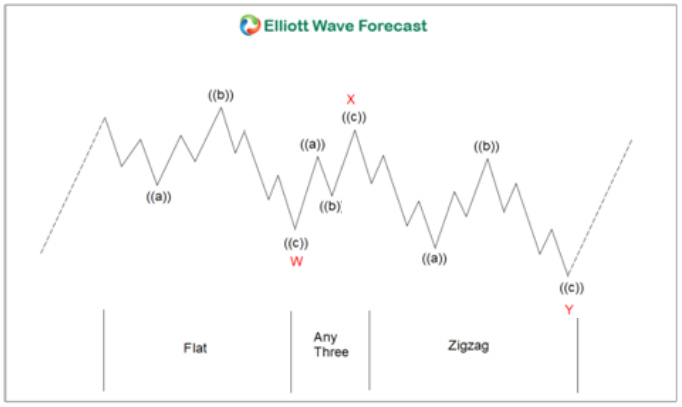 Inspired by the Dow Theory and by observations found throughout nature, Elliott concluded that the movement of the stock market could be predicted by observing and identifying a repetitive pattern of waves. 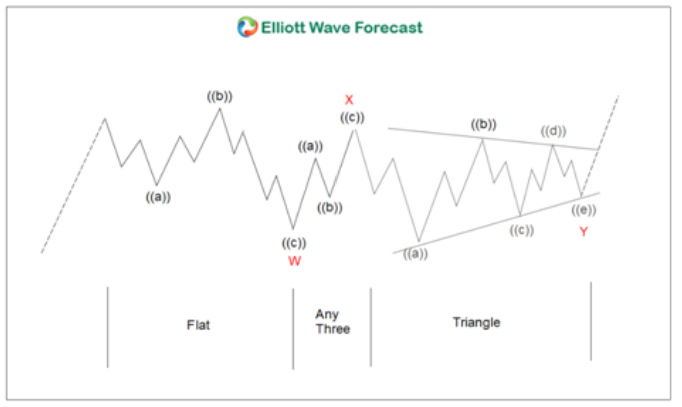 Elliott was able to analyze markets in greater depth, identifying the specific characteristics of wave patterns and making detailed market predictions based on the patterns. 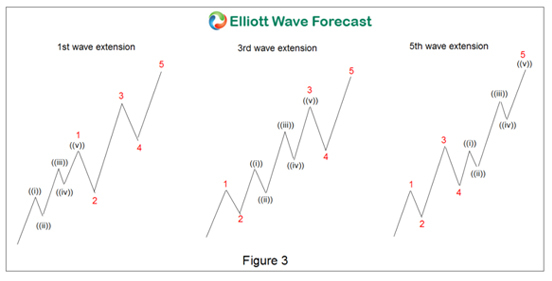 Elliott based part his work on the Dow Theory, which also defines price movement in terms of waves, but Elliott discovered the fractal nature of market action. 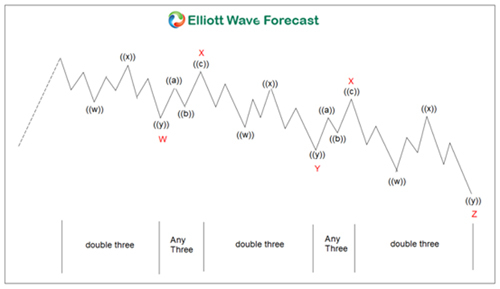 Elliott first published his theory of the market patterns in the book titled The Wave Principle in 1938. 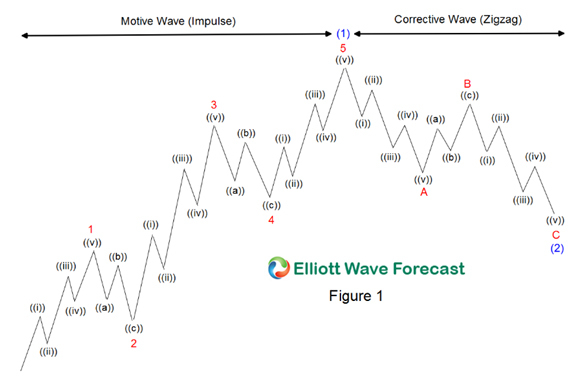 Simply put, movement in the direction of the trend is unfolding in 5 waves (called motive wave) while any correction against the trend is in three waves (called corrective wave). 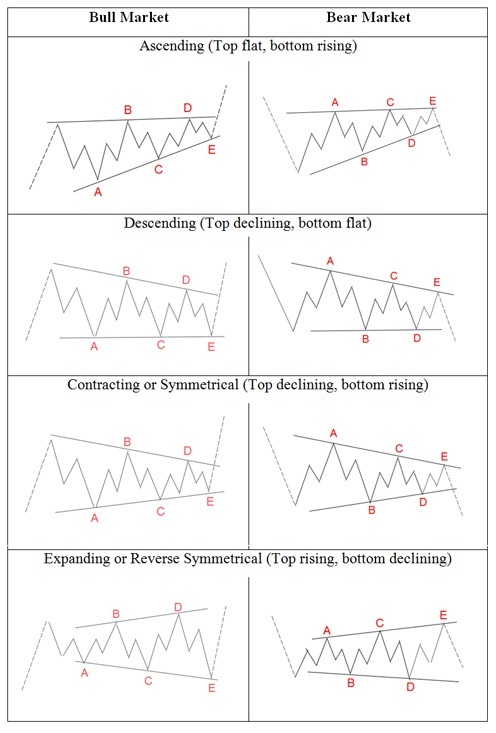 The movement in the direction of the trend is labelled as 1, 2, 3, 4, and 5. 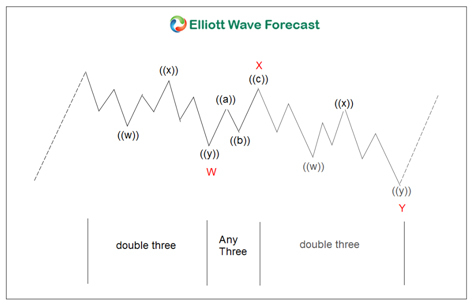 The three wave correction is labelled as a, b, and c. These patterns can be seen in long term as well as short term charts. Ideally, smaller patterns can be identified within bigger patterns. In this sense, Elliott Waves are like a piece of broccoli, where the smaller piece, if broken off from the bigger piece, does, in fact, look like the big piece. This information (about smaller patterns fitting into bigger patterns), coupled with the Fibonacci relationships between the waves, offers the trader a level of anticipation and/or prediction when searching for and identifying trading opportunities with solid reward/risk ratios. 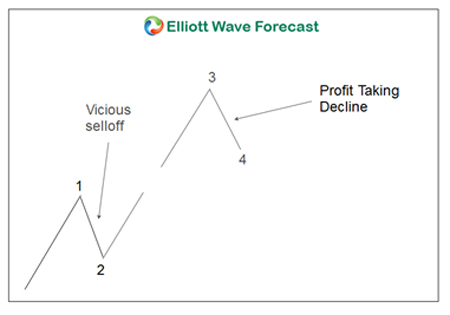 In Elliott’s model, market prices alternate between an impulsive, or motive phase, and a corrective phase on all time scales of trend. Impulses are always subdivided into a set of 5 lower-degree waves, alternating again between motive and corrective character, so that waves 1, 3, and 5 are impulses, and waves 2 and 4 are smaller retraces of waves 1 and 3. 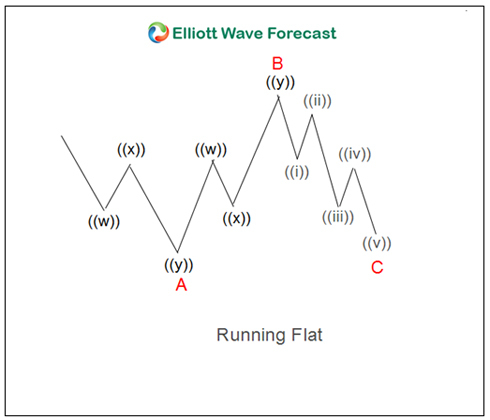 Elliott Wave degree is an Elliott Wave language to identify cycles so that analyst can identify position of a wave within overall progress of the market. 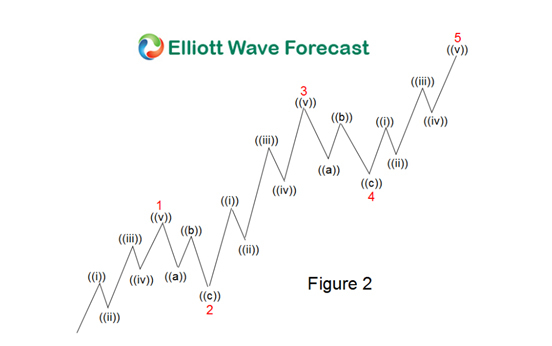 Elliott acknowledged 9 degrees of waves from the Grand Super Cycle degree which is usually found in weekly and monthly time frame to Subminuette degree which is found in the hourly time frame. The scheme above is used in all of EWF’s charts. The development of computer technology and Internet is perhaps the most important progress that shape and characterize the 21st century. The proliferation of computer-based and algorithmic trading breed a new category of traders who trade purely based on technicals, probabilities, and statistics without the human emotional aspect. In addition, these machines trade ultra fast in seconds or even milliseconds buying and selling based on proprietary algos. The biggest change in today’s market compared to the one in 1930s is in the definition of a trend and counter-trend move. We have four major classes of market: Stock market, forex, commodities, and bonds. 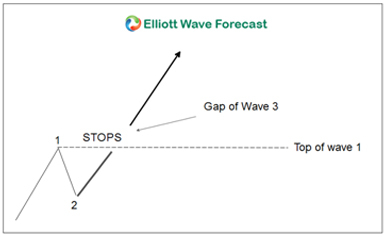 The Elliott Wave Theory was originally derived from the observation of the stock market (i.e. Dow Theory), but certain markets such as forex exhibit more of a ranging market. 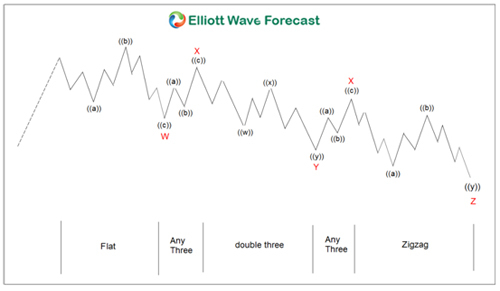 In today’s market, 5 waves move still happen in the market, but our years of observation suggest that a 3 waves move happens more frequently in the market than a 5 waves move. In addition, market can keep moving in a corrective structure in the same direction. 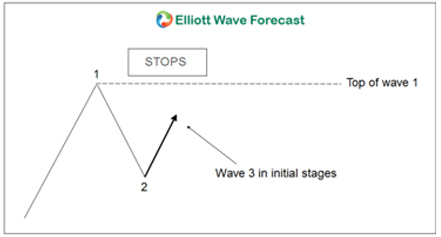 In other words, the market can trend in a corrective structure; it keeps moving in the sequence of 3 waves, getting a pullback, then continue the same direction again in a 3 waves corrective move. Thus, we believe in today’s market, trends do not have to be in 5 waves and trends can unfold in 3 waves. It’s therefore important not to force everything in 5 waves when trying to find the trend and label the chart. Leonardo Fibonacci da Pisa is a thirteenth century mathematician who discovered the Fibonacci sequence. In 1242, he published a paper entitled Liber Abacci which introduced the decimal system. The basis of the work came from a two-year study of the pyramids at Giza. Fibonacci is most famous for his Fibonacci Summation series which enabled the Old World in the 13th century to switch from Arabic numbering (XXIV = 24) to the arithmetic numbering (24) that we use today. For his work in mathematics, Fibonacci was awarded the equivalent of today’s Nobel Prize. One of the most popular discoveries by Leonardo Fibonacci is the Fibonacci Summation series. This series takes 0 and adds 1 as the first two numbers. Succeeding numbers in the series adds the previous two numbers and thus we have 0, 1, 1, 2, 3, 5, 8, 13, 21, 34, 55, 89 to infinity. The Golden Ratio (1.618) is derived by dividing a Fibonacci number with another previous Fibonacci number in the series. As an example, 89 divided by 55 would result in 1.618. 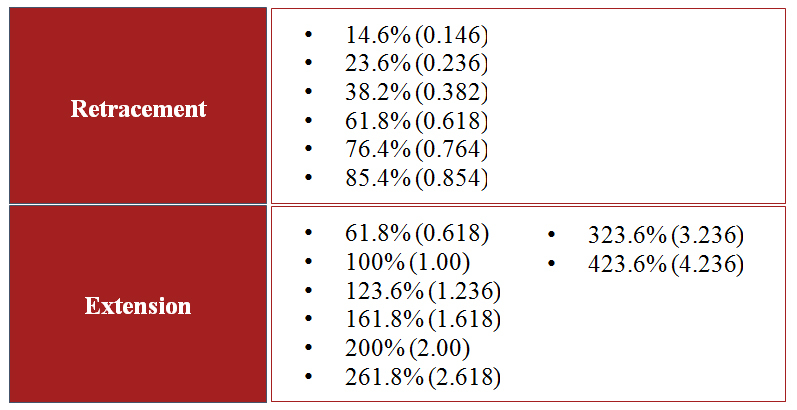 Various Fibonacci ratios can be created in a table shown below where a Fibonacci number (numerator) is divided by another Fibonacci number (denominator). These ratios, and several others derived from them, appear in nature everywhere, and in the financial markets. They often indicate levels at which strong resistance and support will be found. They are easily seen in nature (seashell spirals, flower petals, structure of tree branches, etc), art, geometry, architecture, and music. Fibonacci Retracement in technical analysis and in Elliott Wave Theory refers to a market correction (counter trend) which is expected to end at the areas of support or resistance denoted by key Fibonacci levels. The market is then expected to turn and resume the trend again in the primary direction. Fibonacci Extension refers to the market moving with the primary trend into an areas of support and resistance at key Fibonacci levels where target profit is measured. Traders use the Fibonacci Extension to determine their target profit. 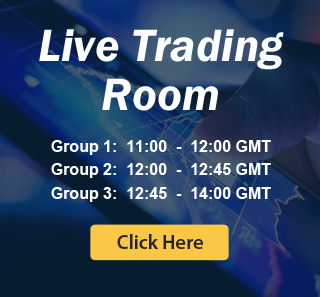 Traders can thus use the information above to determine the point of entry and profit target when entering into a trade. 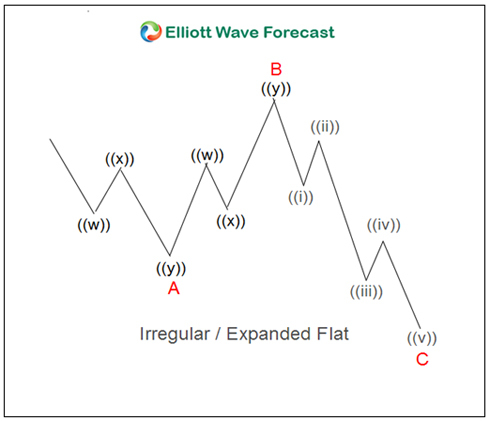 In Elliott Wave Theory, the traditional definition of motive wave is a 5 wave move in the same direction as the trend of one larger degree. There are three different variations of a 5 wave move which is considered a motive wave: Impulse wave, Impulse with extension, and diagonal. EWF prefers to define motive wave in a different way. We agree that motive waves move in the same direction as the trend and we also agree that 5 waves move is a motive wave. However, we think that motive waves do not have to be in 5 waves. 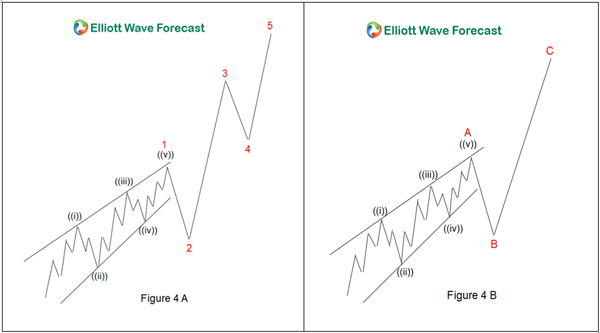 In today’s market, motive waves can unfold in 3 waves. For this reason, we prefer to call it motive sequence instead. • Wave 1, 3, and 5 subdivision are impulse. The subdivision in this case is ((i)), ((ii)), ((iii)), ((iv)), and ((v)) in minute degree. Motive waves move in the same direction of the primary trend, but in today’s time, we believe it doesn’t necessarily have to be in impulse. We instead prefer to call it motive sequence.We define a motive sequence simply as an incomplete sequence of waves (swings). The structure of the waves can be corrective, but the sequence of the swings will be able to tell us whether the move is over or whether we should expect an extension in the existing direction. Motive sequence is much like the Fibonacci number sequence. If we discover the number of swings on the chart is one of the numbers in the motive sequence, then we can expect the current trend to extend further. At the end of wave 4, more buying sets in and prices start to rally again. 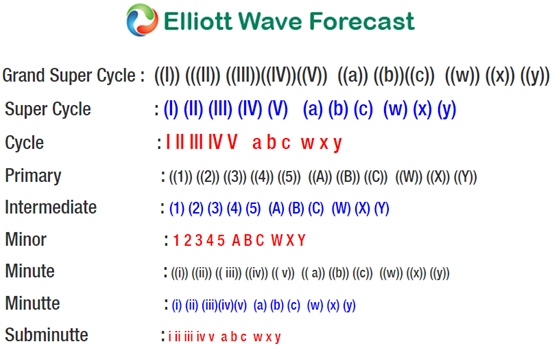 Wave four is typically clearly corrective. Prices may meander sideways for an extended period, and wave four typically retraces less than 38.2% of wave three. Volume is well below than that of wave three. This is a good place to buy a pull back if you understand the potential ahead for wave 5. Still, fourth waves are often frustrating because of their lack of progress in the larger trend. The classic definition of corrective waves is waves that move against the trend of one greater degree. Corrective waves have a lot more variety and less clearly identifiable compared to impulse waves. Sometimes it can be rather difficult to identify corrective patterns until they are completed. However, as we have explained above, both trend and counter-trend can unfold in corrective pattern in today’s market, especially in forex market. Corrective waves are probably better defined as waves that move in three, but never in five. Only motive waves are fives. 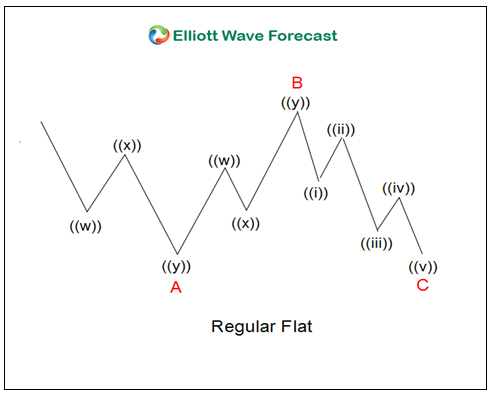 A flat correction is a 3 waves corrective move labelled as ABC. Although the labelling is the same, flat differs from zigzag in the subdivision of the wave A. Whereas Zigzag is a 5-3-5 structure, Flat is a 3-3-5 structure. There are three different types of Flats: Regular, Irregular / Expanded, and Running Flats.